The JM 100 oz Silver Bar is one of the most popular silver bullion investments today because of its quality and acceptability into Individual Retirement Accounts (IRA). And while JM no longer produces this hallmark bar – it remains one of today’s great bullion standards and is actively traded worldwide. Johnson Matthey (JM) is one of the best known and respected refiners in the world with operations in Salt Lake City, USA and Brampton in Canada. JM refineries are large operations which process high grade gold and silver bullion from mining, jewelry, and industrial scrap. 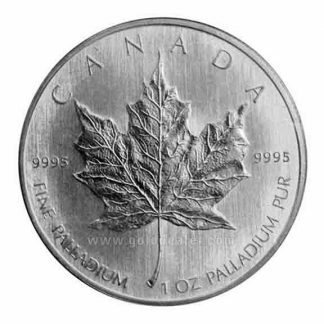 Silver is talked about as an industrial metal because of its use in technology, medical science and the environment. As world industry grows the need for silver increases and may push prices higher. Its investment value has also brought increasing attention since the use of silver in US coinage was discontinued in 1964. 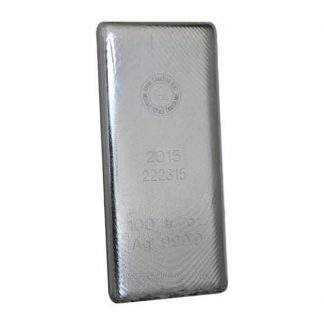 The secondary market JM 100 oz Silver Bar can be poured, struck or extruded and features the familiar JM trade mark, weight, purity, fineness. 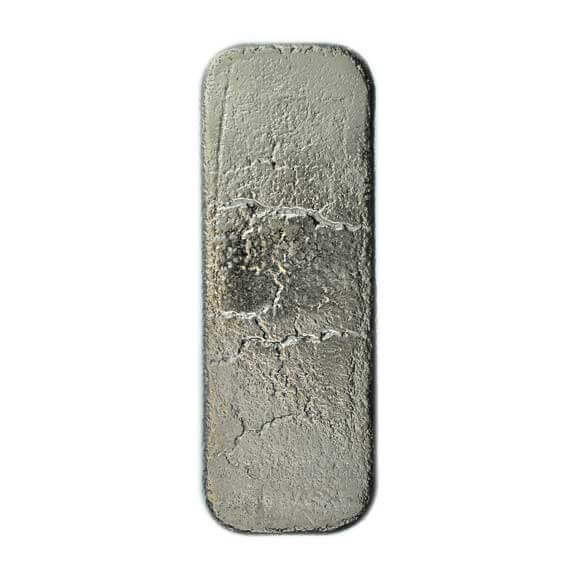 The JM 100 oz Silver Bar is popular for other reasons: (1) The 100 ounce size makes consumer valuation easy because large dealers worldwide post daily buy and sell prices. (2) Its weight (6.8 pounds) is easily handled and stored in larger bank safe deposit boxes and the bars stack nicely. 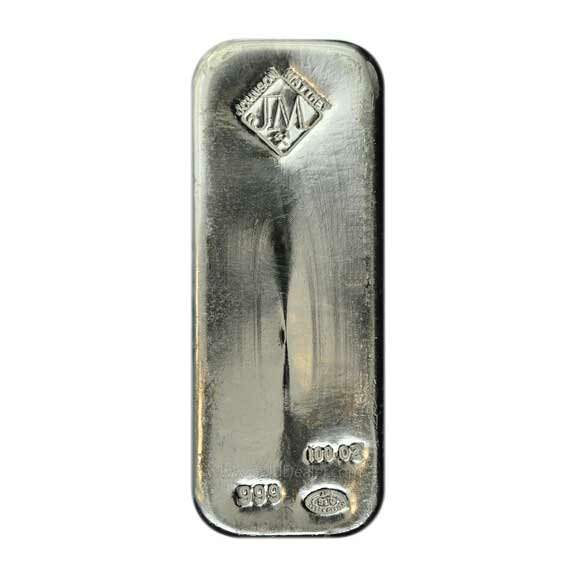 (3) The JM 100 oz Silver Bar was produced by one of the world’s largest refiners with origins going back to 1817. This long standing commitment to quality guarantees consumer satisfaction and is one of the biggest reasons the JM 100 oz Silver Bar is so popular in the secondary market. 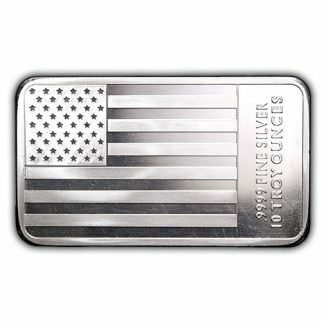 When you purchase 100 oz silver bars there are no reporting requirements. If you sell 10 or more bars at one time the sale is dealer reportable on IRS Form 1099B. Your sale of less than 10 bars is not dealer reportable. Your approaching world record advice on silver investing. I am the king of 2 am road show tv purchases. but not silver. Just things I needed. Bought another 100 ounces. I like it. Harry Johnson was very helpful and informative yesterday when I purchased some silver bars. I highly recommend CNI! !